I am always so incredibly buzzing with energy everytime I return to what I consider my “home away from home” for Sonoma wedding photography. It’s only almost 3 hours hours from my house to the Whole Foods in Napa, whereas driving to San Francisco takes 3.5 hours, but that depends on traffic and when I decide to make the trek. The Whole Foods in Napa is the best Whole Foods I’ve been to. Honest. Yes, the one in Oakland has Café Gratitude, but the one in Napa has a wine tasting bar. Plus the one in Napa is next door to the Trader Joe’s, so if I stay up in Napa/Sonoma for more than a couple days, I only have to drive to one shopping center to get all I need taken care of. So I like places with easy access to Whole Foods or Trader Joe’s. When I move, which I think now I’ll be here in Truckee for at least another 3 years, But when I do, I typically select the location of where I will be living to proximity to a Whole Foods or Trader Joe’s. When I lived down in Visalia, it took me 45 minutes to drive up to the Whole Foods or Trader Joe’s in Fresno. So not cool. But I will still say forever and ever that Fresno has the BEST strawberries from a local stand out on Shaw in Clovis (almost to Sanger) and the BEST Anthropologie. Sorry, got off track there. 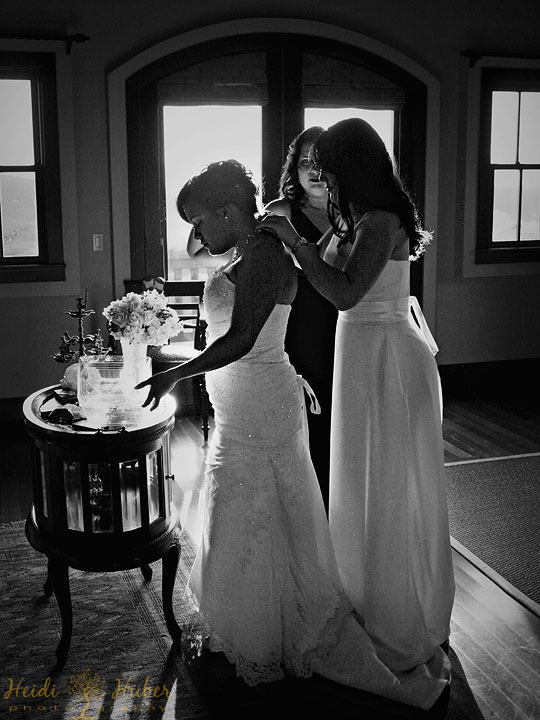 So Mercedes and Kelly are stationed in El Paso, and already married when they decided to have their official wedding at Nicholson Ranch in Sonoma. They wanted to capture the memories of their celebration to show their son when he grows up. I finished off 2010 with their sweet and private wedding. The biggest challenge I had at their wedding was the timing of their ceremony. 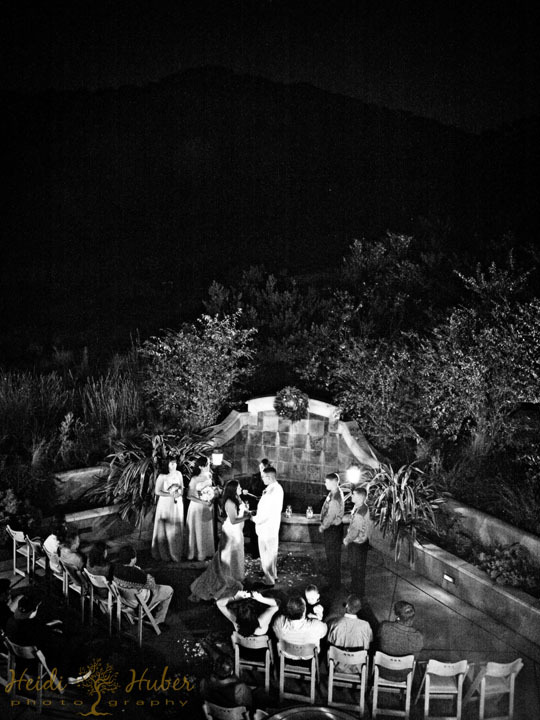 It was after sunset, so pretty dark, and ISO 3200 wasn’t going to do their ceremony justice. Thankfully I had photographed all their portraiture when it was still daytime. I typically never ever photograph with strobes on camera during a ceremony, but for theirs, I needed to find some light. I ended up setting up two remote strobes at 45º behind the chairs in the last rows. If I didn’t use light, even remote light, Mercedes’ face would’ve been in complete shadow during the ceremony. Improvisization. I love it. I still photographed the ceremony at ISO3200, attempting to let in some ambient light. Good times. Thank you Mercedes and Kelly for letting me visit my “home away from home” and being enthralled with you, your friends and family on such an amazing day in December!